750 Jews gather for three-day Limmud FSU festival held in Russia's cultural capital. The three-day Jewish festival of learning and culture Limmud FSU St. Petersburg took place this past weekend in Crowne Plaza hotel in the city. The dynamic, volunteers-driver and pluralistic event gathered a record number of 750 participants, the largest St. Petersburg festival ever, and ran from Friday through Sunday noon. The first Jews appeared in St. Petersburg right after its foundation in the 18th century. Today it is one of the most vibrant, flourishing Jewish communities in the former Soviet Union, with roughly 100,000 Jews, making it the second-largest Jewish community in Russia. The St. Petersburg Jewish community's cultural, social, and religious life showcases a very active and exciting place to explore. Annual conferences, started in 2011, reflect high intellectual caliber and cultural-oriented programming, as one would expect from a Jewish learning festival held in Russia’s cultural capital. Limmud FSU St. Petersburg featured lectures, workshops, and discussions in the pluralistic spirit of Limmud. 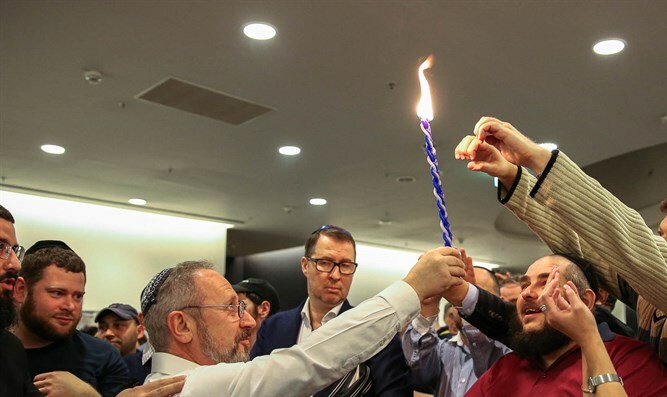 "This event is a hotbed for the expression and strengthening of Jewish identity, connection to the Jewish people and the Jewish tradition," Director of the Orthodox Community of Saint Petersburg Rabbi Shaul Brook said. "It is an excellent project and a model for finding paths to the hearts and souls of the participants." "The organizers of the event are a symbol and an example of how, with good will and willingness, we can find the common denominator that unifies all the members of the Jewish community in the city. I am happy that we are partners in this amazing enterprise." The top presenters this year included Linor Goralik, a Russian-speaking flash fiction author, poet and essayist; and Elhanan Nir, Israeli poet and laureate of international and Israeli literary honors, including the Wertheim Prize (2008) and the Prime Minister’s Prize (2011); Israeli Consul General Olga Slov; Euro-Asian Jewish Congress Executive Director Haim Ben Yacov; Yana Agmon, regional director of "Nativ" in Russia and Belarus; Dmitry Dikman, senior advisor to the chairman of the board at Genesis Philanthropy Group; Dr. Aaron Weiss from JDC’s FSU Department; and more. "I flew especially to Limmud St. Petersburg to see how it is done in another country," said Daniel Jezmer, 25, a volunteer from Israel. "I wanted to share experiences and adopt some ideas and initiatives for the Israeli Limmud FSU, which I have been involved in for four years, and also was happy for the opportunity to meet old friends and benefit from the weekend." "I was struck by Rami Sherman's lecture about the hostage-taking operation in Entebbe, could not even hope to get personally acquainted and communicate with the participant in this operation, so I’m especially grateful for it." Just before the closing ceremony, participant Julia Presman said, "I feel grateful, and wanted to thank all the volunteers. You can actually see and fell the spark in their eyes."